GUYS IM FINALLY DRINKING SOMETHING SIMILAR TO AMERICAN COFFEE. First off, I tried Caffe ginsing yesterday and I don’t think I’m going back to espresso anytime soon. Secondly, I’m currently sitting at the complementary breakfast at Hotel Leone and I decided to ask for caffe Americano. It’s usually just watered down espresso, but they hit the nail on the head here. It actually tastes like real black coffee!! I’m in heaven. Yesterday we took the train from Cortona-Camucia to Orte. From Orte we went to Rome where I discovered the cutest little store in the train station. Si Chiama Tiger. Avery, you would’ve been in heaven. 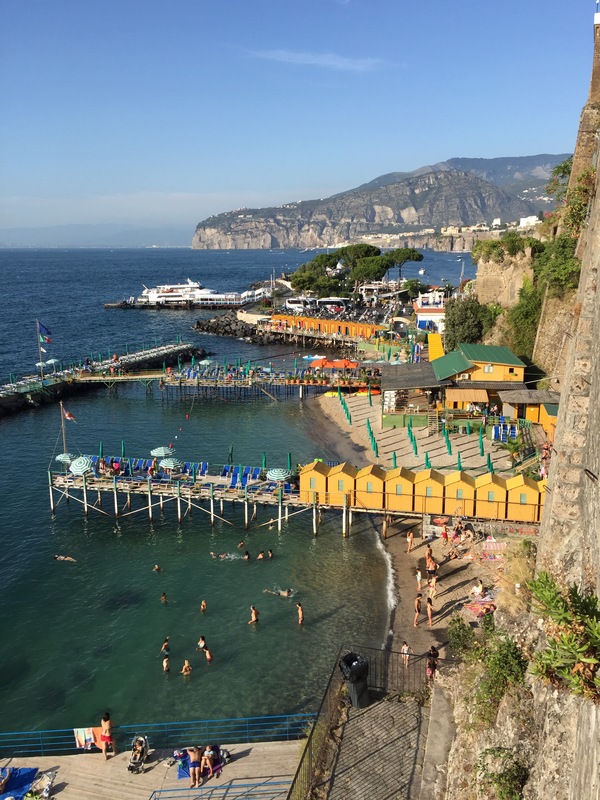 Continuing on our quest, we went from Rome to Naples and upon our arrival, we hopped on another train, albeit more janky and hot, and arrived in the beautifully sunny Sorrento!!! Finally the beach! We only had one thing on our mind and that was to get in the ocean as soon as possible. After a quick, but very delicious lunch at Il Leone, we checked in to our hotel and then mentally checked out. We raced each other down the steep cliff side and arrived at a small private beach. Dark sand made a tiny but convenient shoreline, so we dropped out stuff and took off into the crystal clear Mediterranean. The afternoon consisted of us wandering up and down Corso Italia and guess what? Even after going into a million specialty stores, I didn’t buy another pair of shoes!! My parents must be so proud. After a minor set back….aka we got very lost…we made it back to our hotel. It was a rush to get ready for dinner since Italy was playing Germany at 9:00. I briefly considered doneing my italia jersey I purchased for 8 Euros, but with an evening planned based off of Sorrento’s nightlife, I voted against it. Instead, I opted for a cotton black dress since the heat here is stiffling. We had dinner at Le Grazie, a family owned and operated restaurant with an authentic wood fired grilled and some of the best mussels I ever had. The staff was super attentive, even with the excitement of the game. After dinner, I dragged them to Primavera Gelato- the mother of all gelato places. Holy crap this place was unbelievable. 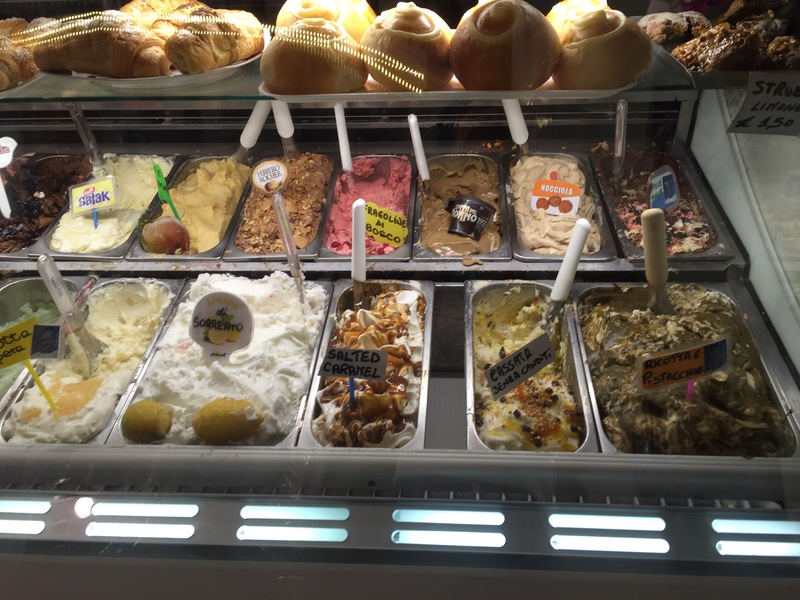 Imagine every candy bar you’ve ever loved turned into gelato. Yeah this place was the equvialent to heaven on earth. After the world altering gelato, we decided to check out the world renowned nightlife Sorrento had to offer. We watched the final heartbreaking minutes of the Italia-Germany game (Italy lost in sudden death) in the Shot Bar-a bar that most definitely owns up to its name. Packed with locals and owned by an eccentric little couple, we danced to American music and drank Italian drinks. After, we were drawn to the bar aptly named “American Bar”. It was absolutely hilarious; picture a bunch of Italians dancing to American songs. At one point 679 came on and we all looked at each other and the one though running through our mind was are we at a bar in Athens right now? The night ended with bottled service (serious perks to being young American girls in Italy) at the legendary discoteca in the main square. 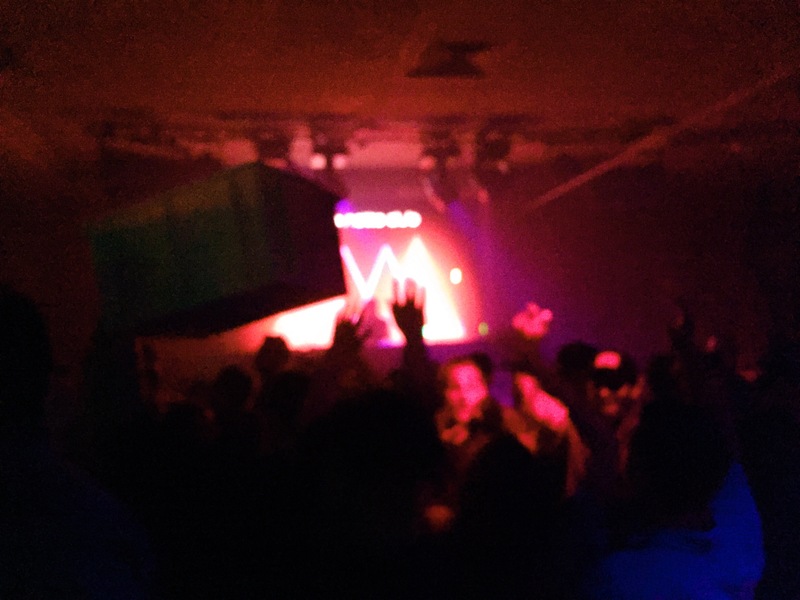 This joint was jumping-flashing lights, thumping bass, and cute bartenders who let us flirt our way to free drinks!! And now I continue my journey to Positanto, another small coastal town near Naples. You know when you good Amalfi Coast on Pinterest and those beautiful pictures of colored houses on a cliff pop up? That’s where I’m heading on ferry in about 30 minutes. La dolce vita I swear. Happy Sunday my sweets!! Hope you day is filled with love, good food, and adventure as much as mine have been.